Celebrate Mother's Day with a mini session just for moms and kids! Screen-quality, digital versions of each final image for posting online, both original crop and pre-cropped squares. NEW THIS YEAR: a complimentary Smile Pass membership that will give you access to exclusive discounts on full-length shoots and product for 12 months! ($75 value). Get an ADDITIONAL $25 off when you follow us on Instagram and 'Like' us on Facebook! Location must be within North Bend or Snoqualmie city limits. To book or if you have questions, call or text 425.281.8312. Or if you prefer, email us at marketing@kristintetuanphoto.com. I operate my studio out of my home. When the weather is bad, I set up in my garage and bam, instant studio. I get some pretty sweet work done here at home, too! Just outside of my home studio is a magical location that I want to share with all of you. So I'm offering 30-minute sessions for $150 for a limited time. To book under this promotion, email marketing@kristintetuanphoto.com with subject heading "Black Friday". Now feast your eyes on images from a recent shoot I did at this very spot and just try telling me it isn't magical!! At long last, it's time to reveal the winners of our awesome giveaway in partnership with @thoreau.yourself.together! If you are reading this, chances are you've probably been tagged in the final giveaway post on Instagram. Yay! Even if you don't win the giveaway itself, everyone walks away a winner because I'm giving everyone who entered 20% off of a shoot booked within 90 days of the giveaway. You'll just need to make sure you've followed both @thoreau.yourself.together and @kristintetuanphotography in order to qualify*. In addition to this, I am offering a very sweet deal on my customer loyalty program, The Smile Pass, which directly benefits local non-profit, Youth in Focus. It's regularly $75 for new clients for 12 months but I'm offering it to you for $50! $25 of that goes to Youth in Focus IN YOUR NAME and it qualifies you for 20% off of a total of 3 shoots booked within 12 months. When you book all three, you earn a free half hour! It's super awesome and an incredible cause. If you want to sign up for that, you can go to this link. You will not be charged, just asked to fill out a form and I'll contact you to process your secure payment. Watch the video below to see if you are the winner!! I couldn't just pick one so I selected a winner for three categories: everyday mom, mom blogger and a senior! Quick note to ALL bloggers who entered: please get in touch with me if you DID NOT win this particular giveaway because I would love to chat with you ANYWAY about partnering! I'll be unrolling some sweet blogger packages very soon and I would love for YOU to be the first to enjoy! Thanks again to Sarah of @thoreau.yourself.together!! Your vote of confidence means so much! Seems like just yesterday we were making glitter crafts and selling cookies back in our Brownie days! * Only eligible if your account was tagged in the final giveaway post on Sarah's page. Limit one per customer. If you have multiple accounts that you entered, you will only receive one discount. I often remind myself of a quote I heard many years ago during a CreativeLIVE workshop I participated in...I believe it was from the wonderful Jules Bianchi! She said "the only photographer you should compare yourself to is the one you used to be." At the time, I was still in a very exploratory phase of my career, really digging deep to figure out what I was passionate about shooting. It was hard for me to hear that. I remember moments of pure anguish when I'd look at what other photographers were doing and the work they were producing and I would constantly grapple with self-doubt. The little voice inside my head would tell me I wasn't good enough. It would tell me things like "You'll never become a better artist. You're not a real photographer." I remember an email conversation I had with my friend and fellow photographer, Shelby Brakken, whose work was so good out of the gate that I said to her "I don't know how you do it. You're just so good." She told me that "we're all on our own path". Again, hard to hear. But so very true. There is a huge difference between allowing the "mean girl or boy" inside of you dictate who you are as an artist and the constructive critic who takes time to try to develop an objective opinion on work. The skill of being able to look at your own work and not tear it down but simply see flaws in composition, light, color, cropping, etc. takes a lot of work. Here are some tips to help you take emotion out of it. These images are from a senior session I did almost 5 years ago! It was the first time I ever saw potential in my images and finally settled on the kind of work I love to do. My work has grown so much from this session and I can objectively look at these images and see where there was room for improvement and what I had right. For example, the lower right image is fussy to me where the subject's head meets the top of the frame. This was in part because I hadn't yet made the switch to a full frame camera. (But you don't need a full frame camera to take a few steps back!) Same thing going on in the top middle image. I also cut her feet off, which bugs a bit. Seeing these issues helped me improve my awareness of addressing them. Now I always shoot just a little bit wider and make sure I'm not cutting off limbs in awkward places! 1. Don't rush home from sessions and immediately upload your images. It took me years to realize that I should allow myself some time to recover from a session. I would come home, exhausted physically (I am a very active photographer...I move a lot!) and emotionally from engaging for 2 hours straight. And lest we forget, creatively exhausted, too! It takes a lot of work and brainpower to continually be directing, posing and molding your clients to create captivating images. If, the moment you arrive home, go straight for that card reader, you are not taking necessary time to rest up before you begin the next phase of work. Not to mention the fact that the whole point of photography is to capture time so clients can look back on those moments fondly. Same goes for looking at your own work! Allow some time to pass so that special moments are more apparent to you when you begin the culling process. Factor this time into the final delivery commitment you have made to your clients. 2. Zoom out to see the bigger picture. What I mean by this is don't go through every single individual image one-by-one. If you're using Lightroom, which most of us are, take the time to learn about viewing your images in batches. Looking at your images in groups will allow you to identify duplicates and allows you to see the ones that stand out from the group. It also cuts out noise for your clients if you don't overwhelm them with 57 pictures of the same pose. Think quality. Not quantity. Lightroom is a powerful tool. Not only for post-production but also for organization of images. My workflow has evolved over the years and my culling and stacking process now looks very similar to a game of Blackjack. The features I use most that you should take time to learn are image stacking, star rating, and color coding. When I do my initial culling, I always make sure I'm viewing my images in the Library Grid in Survey View. Once you've narrowed it down to 2-3 of each pose, you can start looking up close to determine best sharpness and expression. 3. If it makes you feel crappy, move on. There are still, to this day, photographers I cannot follow because it makes me feel horrible about my own work. Don't waste valuable emotional energy that you could be using creatively to destroy your confidence. It's pretty simple. If it doesn't make you feel good to look at it, don't look at it. The same goes when you're approaching projects. Now more than ever, photography is becoming a hot commodity. If you're asked to do a project that might not be a good fit for you, listen to your gut and walk away. 4. When all else fails, do what you love to do. At the end of the day, we all have a story about how we ended up with cameras in our hands. Don't let hangups stop you from creating. Use them to fuel creation and improvement in your craft. If that isn't enough, never hesitate to seek out support! CreativeLIVE is one of the most invaluable resources available to photographers. Take advantage of all they have to offer! Need more Lightroom help or interested in a portfolio critique? I offer over-the-phone training sessions on a variety of different subjects! Email me for more information. North Bend is a river town. When you live in a river town, it means gorgeous beach front spots peppered throughout. Being local means knowing how to access said spots. When Emma showed me some examples of shots she wanted, I knew I'd need to dust off the old hip waders to capture them. Oh, wait. I don't own hip waders. I own these amazing designer rain boots that I got during a Zulily sale years ago. We'll come back to that. On went my boots and into the water we went. Mind you, it's late September. The river is cold in the summer. Do some math or just stick your toe in and you'll see where I'm going with this. Emma was a trooper, we got the shots we wanted, all is good! Right? Read on. So the moral of the story is do what you have to do to get amazing shots. Just remember to wear properly-sealed boots if it involves getting into the water. Class of 2018! I'm actively seeking senior reps for the coming senior season, which runs from April 2017 - October 2017. Reps get big discounts on sessions and cash incentives when you refer friends who ultimately book. If you're interested in having an incredible senior experience, email me at hello@kristintetuanphoto.com or text me at 425.281.8312 to set up an interview to see if you're a good fit! It's that time of year again when the decorations start coming out and the temperatures start to drop! Get your holiday pictures done early so you can tick it off your growing to-do list. Refer a friend and get 10% off! I will be scheduling these at Crown Tree Farm here in North Bend until mid-November. To set up a callback, click here. I had the privilege of shooting with some exceptionally talented, young dancers recently. It was so many things for me. Mainly, it was an honor to spend some time watching the athleticism required to express themselves artistically through movement. As an artist of many mediums, it has always frustrated me beyond measure that dance was the one artform I could never master. It was incredible to watch the energy and passion with which these kids moved and to freeze it on camera was such a blast. To be able to just bottle that feeling up and let it explode into a leap or twist is something that I feel inside of my heart when I watch it. Nothing moves me quite like dance does. Music is definitely high on the list but I think that comes with the package that encompasses what creative movement is about. Huge shoutout to Ignite Dance & Yoga for cultivating these kids and helping them develop in such a positive, encouraging environment and from some of the best teaching staff I've ever observed! Celebrate Mother's Day than with a mini session just for moms and kids! Access to reduced-rate booking on full-length sessions! If you're interested in booking or have questions, fill out the form below and we will get right back to you! THANK YOU! YOU HAVE BEEN AUTOMATICALLY ENTERED INTO A RAFFLE FOR A $100 GIFT CERTIFICATE! WE WILL BE DOING A DRAWING AFTER MAY 1ST. 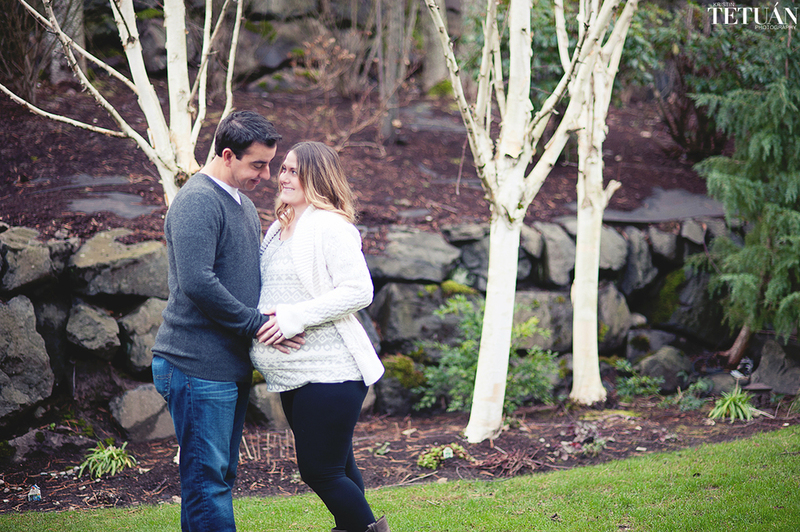 WE'LL BE IN TOUCH REGARDING YOUR INTEREST IN A CELEBRATE MOTHERHOOD MINI SESSION! I am just getting real, here, folks. I am not usually a big session poster for reasons I still don't understand. Mostly, I think, because it's a lot of work and I am not really into tooting my own horn. But I want to use this shoot as an example of a way for you as a photographer to challenge yourself. That is the purpose of me reinvigorating my commitment to this blog; to inspire others to improve creatively and to understand that with an arsenal of basic knowledge, you can truly shoot anywhere. So I am sharing this shoot to show you what is possible in someone's home. I have said before that so much of a photographer's job is to counsel her client through the anxiety and nerves of being in front of the camera. When you are working with pregnant clients, insecurities are at their peak. 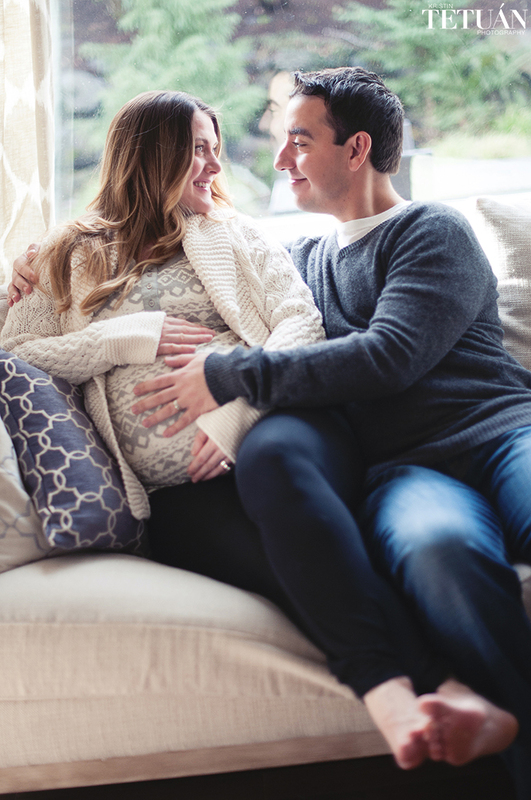 In my experience, the best way to do this is by shooting maternity in the client's home. When she is in her own environment, the client feels completely herself and doesn't have to think about who is watching and the outfit she hung up in the backseat of her car. She's surrounded by the preparations of welcoming a child into the home and is comforted knowing her bare feet will be on familiar ground. It presents a unique challenge to you, the photographer, as well. You are forced to work in an enclosed space and be 100% aware of light sources and visual elements in the home that present framing opportunities or challenges with noise in the background. If you are working in a small space, especially, these details are of utmost importance so a laser focus on LIGHT will save you every time. In rooms that are small, dark and have only one-directional window light: keep your aperture wide (f/2-2.8), your ISO at 800 or higher and so that you can use a higher shutter speed (1/100 if you're newer, 1/80 if you have a very steady hand or a tripod); focus on exposing the lit parts of your subject with these things in mind and you will walk away with breathtaking, high-contrast images. In rooms that are bright and have large windows: play with backlighting your subject. Place your subject between you and a window. Keep your ISO higher than you normally would in a well-lit environment (640-800) and your aperture wide and your shutter speed very high (1/200+). You want your image to be blown out but not washed out. If you get too much haze, up your shutter speed before you do anything else. Don't worry about a little haze - you can increase your blacks in post-production if you really need to. For the sake of anecdotal charm, this client gave birth the very next day after we shot together. We struggled to schedule for weeks and I was able to finally get her in and good thing I did or these images would never have been created! Do you have questions? Comments? Really need help? Drop me a line! Dear Clients: I understand the struggle. Okay, so, last week, I had the rare opportunity to be in front of the camera for my studio manager, Kristin Grover. That’s right, it’s out, everybody. I’m calling her my studio manager. She keeps me honest and has been helping me A TON. Someday, I’ll pay her regularly with real money. In the meantime, I am making her do my dirty work in exchange for schooling her in absolutely everything. And she's come to be affectionately known as G. For your future reference. That being said, it is our job as photographers to set the tone for the shoot, make our clients as comfortable as possible by directing them, encouraging them, being an idiot behind the camera and letting them know that you are human and have hang-ups and insecurities, too. One of the best ways to understand the other side of the camera better is by getting regular pictures of yourself! So here is me and all my hang-ups in these expertly captured outtakes. Top left: Frog Awaiting Fly Top Right: Total Uncertainty Bottom Left: Extreme Horror Bottom Right: Classic Leapfrog. You're welcome. 6-Minute tutorial on creating a clipping mask for your photography and design projects in Photoshop!